Belize investigators continued Monday to search the area where Anne Swaney was found dead on Friday in the Mopan River. SAN IGNACIO, Belize (WLS) -- Police in Belize said Monday that they are continuing to search the area where ABC7 Executive Producer Anne Swaney was found murdered in the Central American nation. No one has been charged in Swaney's murder. However, a Guatemalan fisherman, Victor Franco, 24, is considered a person of interest. He is being held in Belize police custody, but has not been charged. He appeared in a Belize court on Monday for unrelated charges of entering the country illegally. "I cannot say he's a suspect, but because of the investigation he was found in the general area, so he has been detained and has been questioned," said Commissioner Allen Whylie, of the Belize Police Department. Investigators said Monday that they continue to comb the area where Swaney was found dead Friday in the Mopan River near Nabitunich Farm, the horseback-riding farm in western Belize where she was staying. She had planned to practice yoga near the river Thursday morning. The farm is just a mile from the Guatemalan border. Swaney, 39, a 16-year veteran of ABC7 and Platte City, Mo., native, died of strangulation and blunt force trauma to the head and neck, according to Belize officials. Swaney's cellphone is still missing. Police said they are still trying to track it. Sources in Belize said police are interviewing employees of the eco-resort where she was staying. 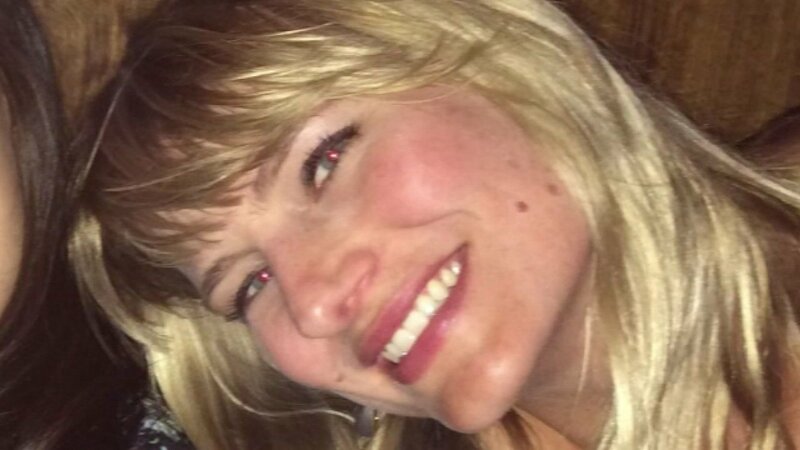 Swaney's body is expected to be flown from Belize Tuesday evening to her hometown and family in Missouri. Belize police said that Swaney's homicide is the fourth in the Cayo District since Jan. 1, two of which involved a foreign national. Ten people have been killed in Belize this month, four of them Americans. A visitation will be held from 1-3 p.m. Saturday in Platte City, Mo. A private family burial is scheduled for Sunday. Over the weekend, Anne's father spoke publicly for the first time about his beloved daughter. "Anne Elizabeth had a very short life. She had a very full life. It hasn't sunk in, what we've lost. But we've received an awful lot of calls that - no one loved her as much as I did - but a lot of people who care and they expressed that. We certainly appreciate it," Jack Swaney said. Swaney's father never said goodbye when he and his daughter last spoke by phone. He said there was a saying she had with her grandfather that also extended to him: "See you Tuesday" or "Talk to you Tuesday." He said he'll miss that. He said his daughter was an avid traveler and it was not unusual for her to travel alone to Belize. "She loved animals and she loved riding horses. She loved cats and so they were a very big part of her life. And she had lots of friends and she was very committed to that," Jack Swaney said. Just two years ago, Swaney's brother died and it's been difficult for her parents to find strength. "I'm not strong. I'm a mess," Jack Swaney said. "The day before I'd gone to look at the cemetery and I visited my son. And I still have questions about my son. And here the next day, I'll go to the cemetery and see my son and see my daughter. And that's not fair." Swaney's first trip to Belize was with friend Donna Verga, staying at the same horseback riding resort. "I can't tell you how jealous I was when she told me she was going back. I was like, 'I found that place, I want to go,'" Verga said. Verga described the Nabitunich Farm property as large, lush and safe. In fact, Verga said the yoga platform where Swaney went Thursday morning, while off property, was very popular with guests. However, she said getting there requires an intimate knowledge of the area. "That's not an easy area to navigate. I think you would have had to be on the property a few times to know that" Verga said. "That person that took her would have known the horse trails were not going to come back, at the earliest, if it was the short ride, around 1 p.m."
Jade Hernandez and Michelle Gallardo contributed to this report from Chicago. 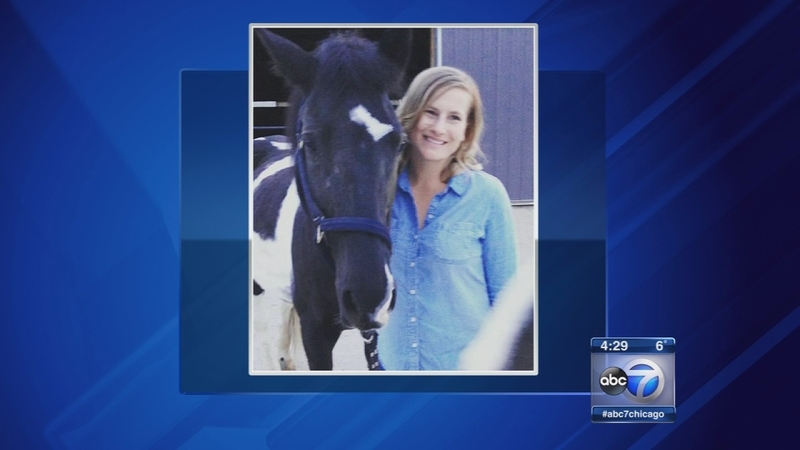 Anne Swaney, Executive Producer of digital operations at ABC7 Chicago, was found murdered in Belize on Jan. 15. She was 39. News of Anne's death brought tears at ABC7, where she was being remembered as a newsroom leader.